Starbucks has created a Frappuccino for chocolate lovers. It’s the Dark Mocha Frappuccino. The Dark Mocha Frappuccino combines Frappuccino Roast coffee, milk, ice and scoops of dark cocoa for an extra chocolately experience. The barista happily let me know that this drink is exclusive to Target locations and launching everywhere later in September. Target is advertising that they have this drink everywhere for a few weeks before its national launch. If you really love dark chocolate, you’ll like this drink. You can customize your drink by adding in flavors like toffee nut or cinnamon dulce syrup. Ask your barista what syrups they have to offer. I liked this drink but one thing to mention is that it does taste like dark chocolate. Just as if you bite into dark chocolate, you’ll taste a tiny bit of the bitterness of the dark chocolate. Here you’ll get that flavor in the Frappuccino too. If you are not into that slight bitterness of dark cocoa, this drink won’t be your thing – or you might want to make it sweeter by adding in a syrup. The beverage comes with just whipped cream on top. I think it would be interesting to add a dusting of dark cocoa on the whipped cream or ask for a little mocha drizzle on the whipped cream. 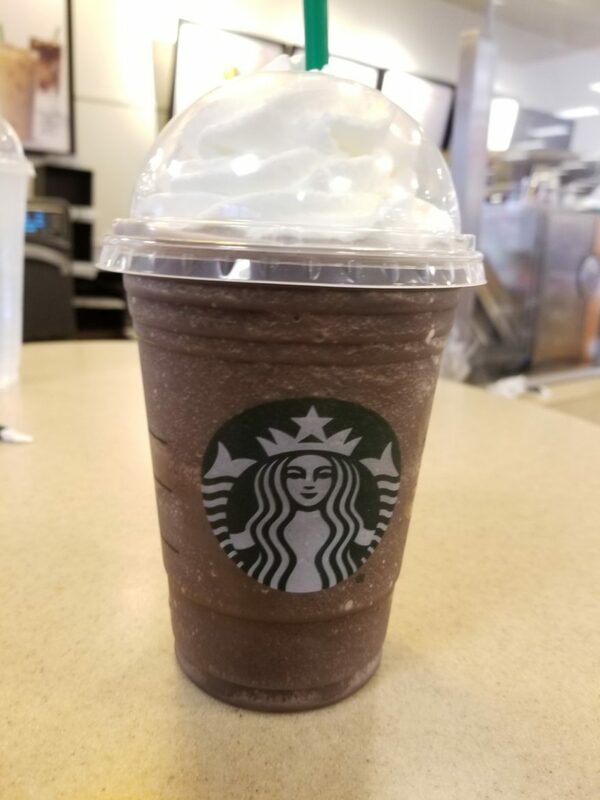 Remember find this new Dark Mocha Frappuccino at all Target stores now and all stores everywhere on 9/22! Had one at target and loved it. Was disappointed when I went to a regular Starbucks they had no idea what I was talking about.